Here’s another quick catch-up post about a fun trip I took this month. I’m so lucky that my parents come visit me so often, and that they love to explore this huge, amazing state with me! While it’s not actually in Alaska, I’ve always wanted to visit Dawson City, Yukon. So this summer, we went! 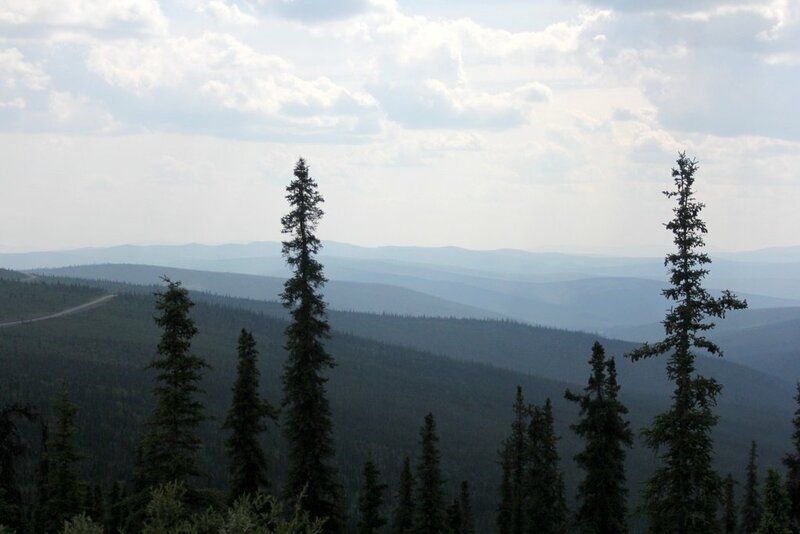 Here’s a shot from the Taylor Highway (Alaska side)… or maybe the Top of the World Highway (Canadian side). It’s all so beautiful! There was a lot of smoke from forest fires in this area so it was pretty hazy. The road to Dawson City is mostly dirt but it was in good shape for our trip. The last leg of the trip was a quick ferry ride across the mighty Yukon River! The day after we got to Dawson, we kept driving north! We drove to Tombstone Territorial Park along the Dempster Highway. 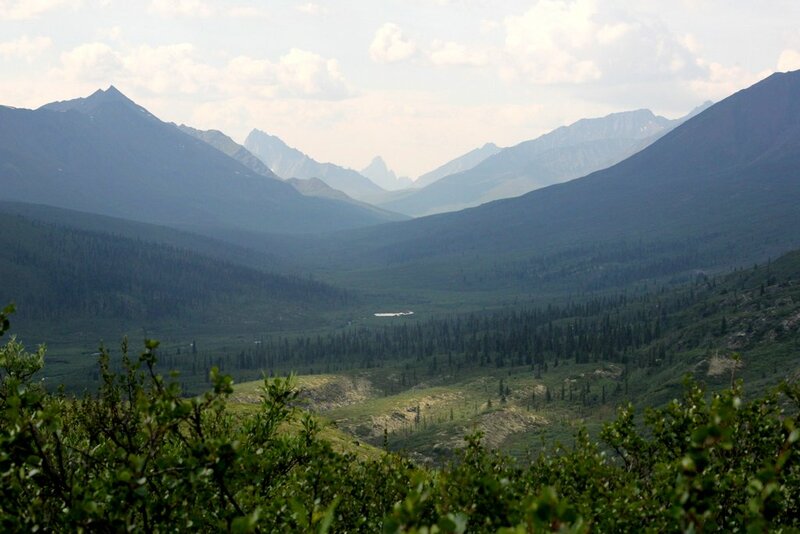 The Dempster is another dirt highway that heads north past the arctic circle. The center mountain is Tombstone Mountain. 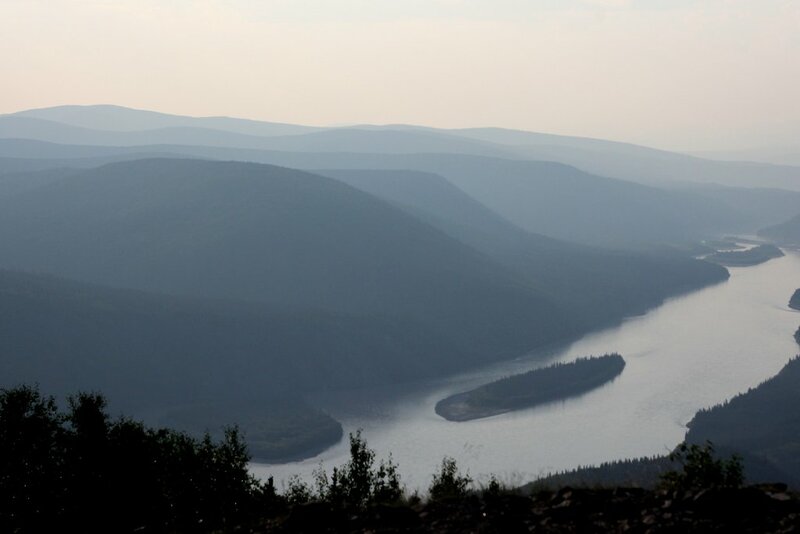 Here’s the view from Midnight Dome– an overlook right over Dawson City (though this pic is in the opposite direction from the city). 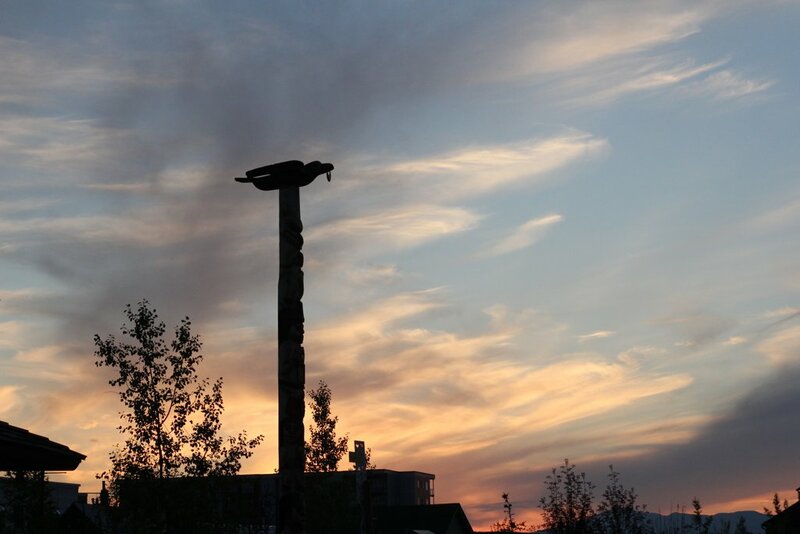 We were flexible with our plans and ended up heading south to Whitehorse instead of going back the way we came. We made it to Whitehorse in time to take the brewery tour at Yukon Brewery! They have great beer! 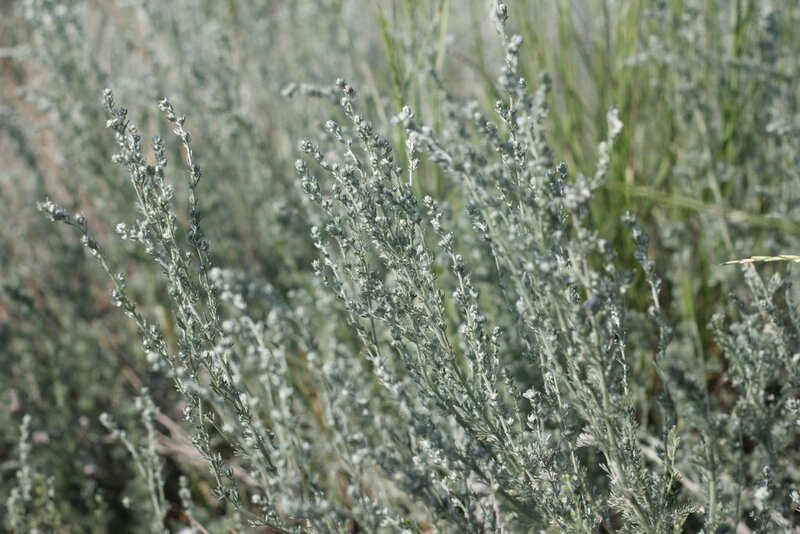 We checked out Miles Canyon and the next day we headed back north… to Alaska! 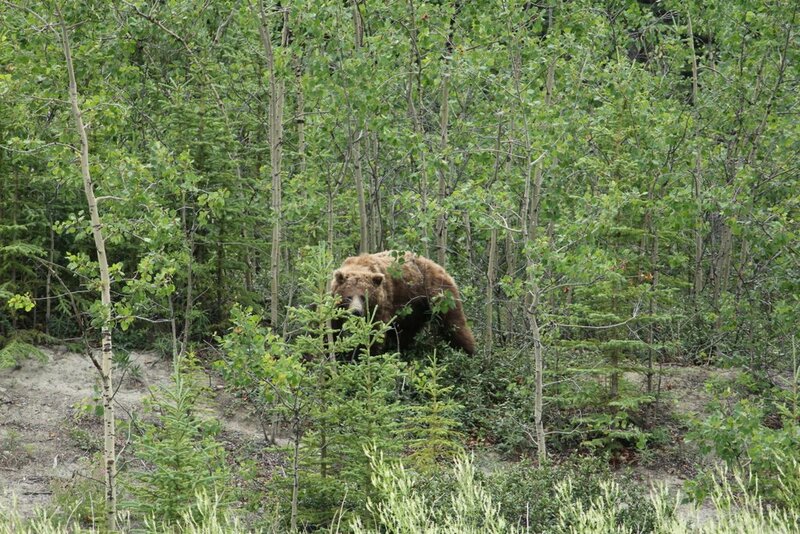 We saw a bear on the side of the highway! It was a nice drive back. I moved to Alaska in March and I have driven to Haines in the fall, but I’ve never been on the Alaska Highway in the summer, so that was fun. 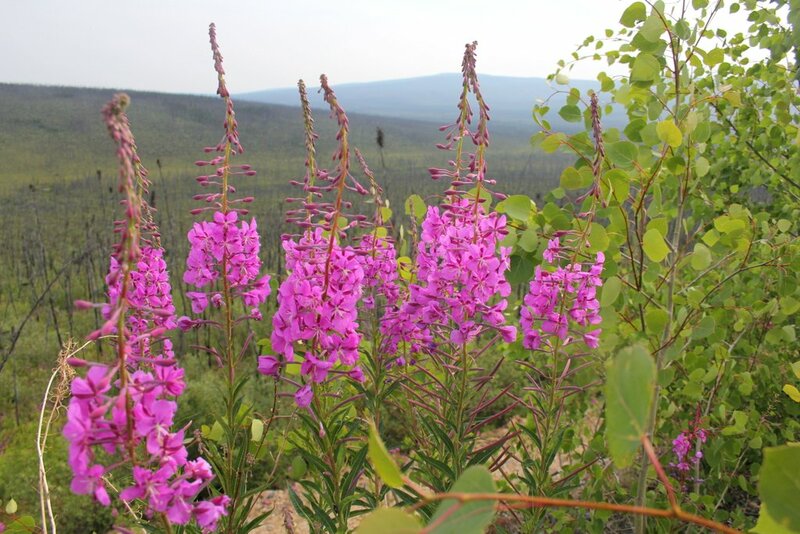 We had read about fireweed in the Milepost and learned it comes in purple, pink and white. 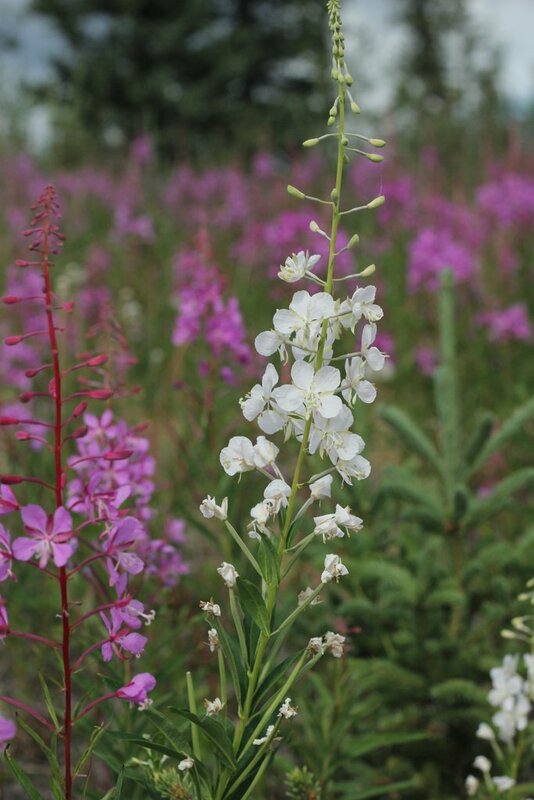 It was then our mission to find this elusive WHITE FIREWEED and we did! So pumped! 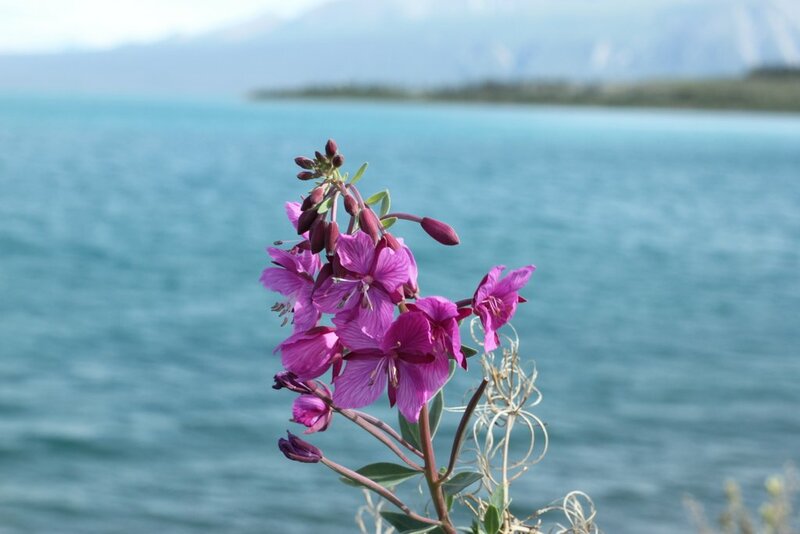 We also picked a few grocery bags worth of fireweed blossoms and mom made fireweed jelly when we got home. It was such a fun trip and really great to spend time with Mom and Dad! It’s called fishing, not catching!